Search for the legendary Shangri La! 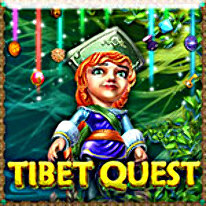 Tibet Quest opens when Jane is just a little girl. Her father is an explorer obsessed with finding the legendary city of Shangri La, and on his last trip to Tibet, he made a breakthrough discovery! Unfortunatly, he never made it back from that expedition, and Jane was left to wonder what happened, with nothing but the necklace he gave her to remember him by.